This entry was posted on Sunday, June 27th, 2010 at 11:36 and is filed under Mobile, Uncategorized. You can follow any responses to this entry through the RSS 2.0 feed. You can leave a response, or trackback from your own site. The book shelf has books on Linux and C#, can read any of the other titles. 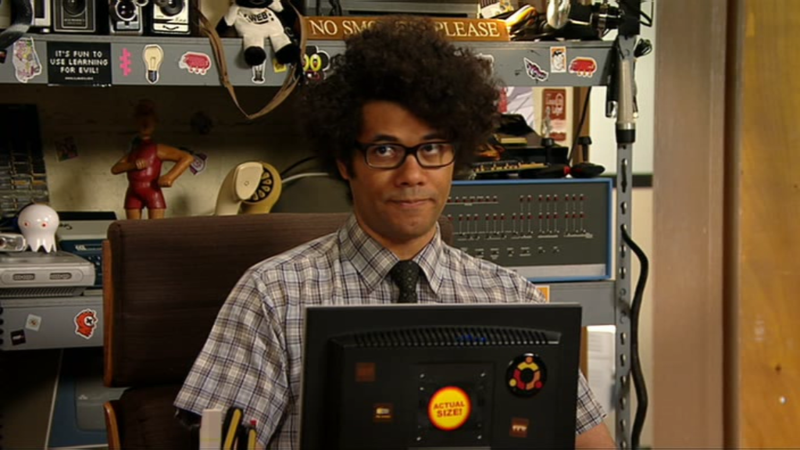 Channel 4 now have a zoom-able panorama of the set of the IT crowd on their website. There is one of Roy and Moss’s room, and a separate one of Jen’s office.